Yesterday Kostis took a look at Sang-moon Bae’s setup. 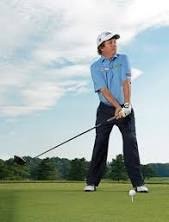 “His shoulders, hips, and knees are in beautiful alignment and he is hitting some excellent shots” commented Kostis. Bae was having a very good tournament and a big part of his success was a proper setup. Mom and Dad, the setup is the one and only time in the golf swing process that your daughter has 100% control over the situation. Learning the correct setup and feeling the proper positions are critically important. Without this, the chances of hitting good golf shots are very poor. So, go back to basics. Check out the setup. Once you are both happy with it, fire away! 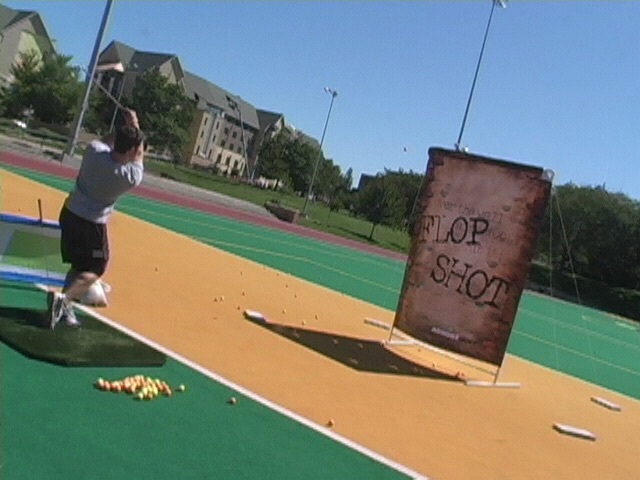 In today’s Friday Flop Shot we will examine finger stretches and how great a benefit they can be in helping prevent injuries. Your son’s fingers, hands and wrist are sacred territory which must be protected at all costs. Unless these body parts are close to 100% healthy, the chances of playing decent golf are greatly reduced. More focus is needed on the proper stretching of fingers, wrists, forearms and elbows. Today these are not getting the attention they deserve. 1. Hold both hands in front of your face with all 5 fingers spread apart and the same fingertips on each hand touching the fingertips on the other hand. Relax the fingers on the left hand and push them backwards with the fingers of your right hand. Repeat with the left hand pushing the right hand fingers rearward. You can push both hands against each other also, but the feeling when fingers are bent backward is totally different than fingers pushing forward against each other. You will feel this in your forearms and up into your shoulders. 2. Martial art stretch for hands, fingers and wrists: stand up straight with your left arm straight along your left side with the elbow locked out and palm facing forward. 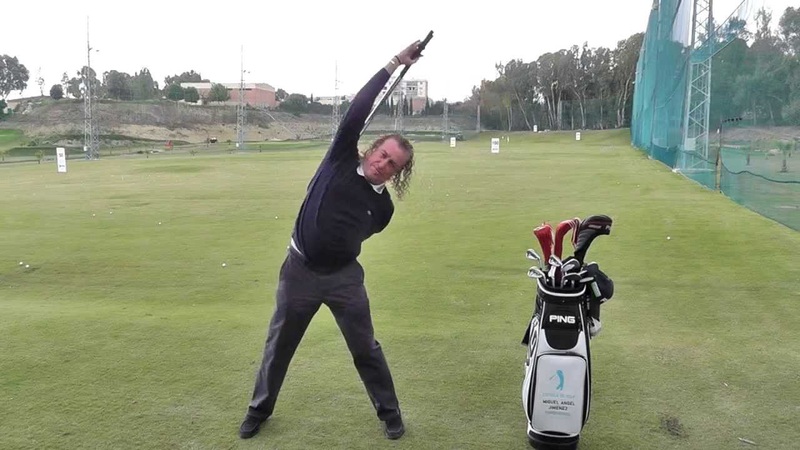 Maintain the left arm and swing it in front of the right quadricep muscle (right thigh). With the right hand, grab the 4 fingers of the left hand and gently pull them, while raising them up, toward the outside of the right hip. Hold for 20 seconds. Then reach under the 4 fingers of the left hand with the forefinger of the right hand to grasp the left thumb and gently pull it rearward. You and your son will really feel these, all the way into triceps and beyond. 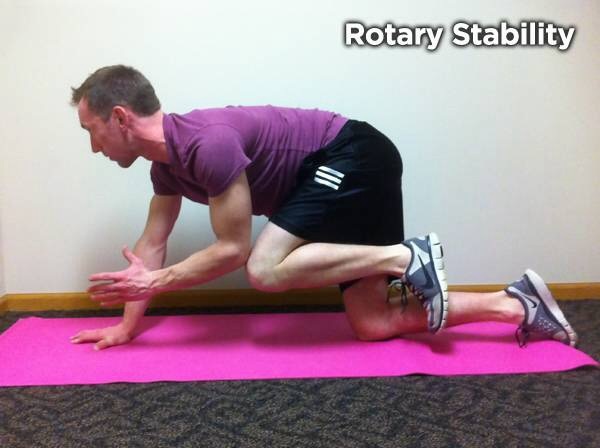 You may also do this exercise with your arm extended straight out in front of you, parallel to the floor. Also, in our house, S3 and I love to play Call of Duty and especially love killing zombies together. After hours of holding the PS4 controller my wrists start to ache and I feel like I almost need to crack my fingers loose to get them out of the PS4 position. We do have an absolute blast and we are big fans of parents playing video games, in moderation, with the youngsters. However, when we put down the PS4 and head to the driving range, we all know that special stretching is needed to switch over the hands, wrists, forearms and elbows from video game mode to golf mode. Injury prevention, if you please. 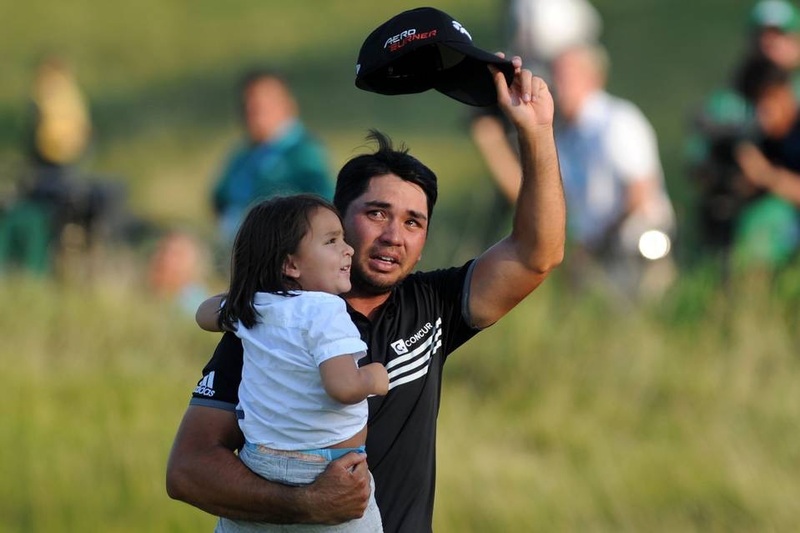 In today’s Monday Mulligan we’ll look at the best $100 you’ll ever spend on your junior golfer. Yes, there is money to be spent on every athlete, but the money we will talk about today is probably something you have never heard of. Our family certainly was not aware this technique even existed. So when S3’s knee dislocated during a high school golf tournament, he saw his orthopedic surgeon, had an MRI and it was determined that he had loose kneecaps. The requirement/rehab was to get the supporting tissue around his knees stronger, basically. His doctor told us to go to a physical therapy clinic that had a therapist certified in sports medicine. As an elite athlete, S3 needed the unique expertise the sports medicine certification brought to the table. The proper name of the test is the Functional Movement Screen and when you watch your son go through it, it doesn’t look all that difficult, that is until you try to do some of the stages. Well, S3’s score was 14, out of a possible score of 21, 3 points max for each of 7 positions, which meant he had a slightly higher than average risk of future injury. A custom program was designed with the express purpose of getting his score up to 17 which would genuinely reduce his risk of future injury. After 6 weeks of rehab he scored 17 on a retake of the test. He/we were elated! Then S3 was fit to enter another 6-week super-advanced training for very elite athletes. He was in with college soccer players mostly and the instructor was basically trying to wipe everybody out during every session. Our son held his own and really benefitted from this whole process. It is pretty much a certainty that athletes will have injuries. I encourage you to investigate the Functional Movement Screen in your area. The best exercise programs are custom programs but there are things you can do to make your son’s body stronger, more muscularly balanced and less injury-prone. 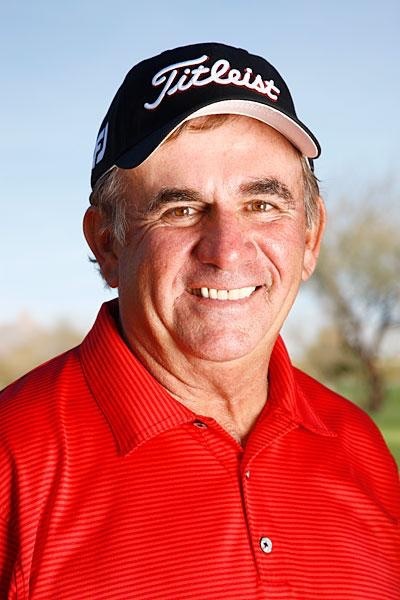 Probably if your young golfer is not a teenager-read hormones-you might want to wait until he is in junior high or a freshman in high school before spending the money. The fact is that this test and the resulting custom rehab and then ongoing custom physical training programs have changed our son’s life. As he enters his senior year playing college golf, his legs, knees and ankles are stronger and more balanced than they have ever been. Please ask orthopedic clinics and physical therapy clinics in your area about the FMS. Someone will be familiar with it and where you can have it done. Check with your insurance and if they won’t pay, then save up until you have the cash. Knowing all this, I would have had S3 do this test before puberty because it still has value. Really, check this out! One final word: the NFL, MLB, NHL, NBA and multiple US special operations forces spend millions of dollars every year on FMS and related custom physical training programs to keep there elite athletes and warriors healthy. What better recommendations are there? Diet is a big player in a comprehensive health and rehab program. While it seems kind and loving to provide the sugary treats and drinks that your injured youngster might ask for, sugar and cheap carbs are not helpful. Please keep these to a minimum. Perhaps the injury is an opportunity to introduce your daughter, and the rest of your family to healthier eating habits. High-quality protein shakes, clean meats, as in organic chicken or grass-fed beef and green veggies will help her body make repairs. Yes, she needs some carbs and there are ways to get them other than candy. Sweet potatoes are a very wholesome food item, give them a try. Explain that eating healthier will help her feel better faster and get back on the golf course sooner. Recovering from injury is serious business and sticking with your medical professional’s rehab schedule is important. Don’t get in a hurry, as almost all youngsters do. If your daughter is ahead of schedule your therapist will let you all know. Now, just one more thing. Let’s apply a mental aspect to her recovery. In survival training, the most important item for survival is a positive mental attitude, a can-do belief. Folks, the human mind is amazing and more and more research is proving that positive outlooks and emotions are extremely powerful and beneficial to quality and longevity of life. So Mom and Dad, you guys give your daughter positive support and thoughts and encourage her to do the same. Yes, this stuff works! 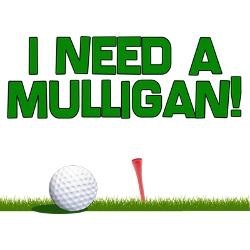 In this Monday Mulligan we’ll take a look at the 1st thing to go when you suffer an injury. And it is the most time-consuming to get back to the previous level of proficiency. So when you son is injured, the tendency is to want to get back into playing shape as soon as possible. The problem is that most injuries don’t allow him to do any real practice. Even though chipping and putting are handsy-feely kinds of shots that use a little lower body action, your son’s whole body needs to be pain-free in order to properly set up to chip or putt. So a sprained ankle or twisted knee obviously means no drives or approach shots will be hit for a while, but it also means discomfort when your son tries to chip or putt. This is where patience comes in and an encouraging word from Dad or Mom is very soothing. Trying to return too soon after injury is not good. World #1 Rory McIlroy, after the 2nd round the PGA Championship, was asked about where he thought his game was after a 2-month injury layoff. His response was that he was hitting some pretty good drives and approach shots, but his chipping and putting, his short game, just wasn’t where it needed to be. Folks, even Rory can’t snap his fingers and get his short game back. It takes work, lots of work. You and your son can do some planning and strategizing so that once he is cleared to resume playing golf, the 2 of you have a solid plan. This gives him and you something to do to hopefully help rehab time go by more quickly.